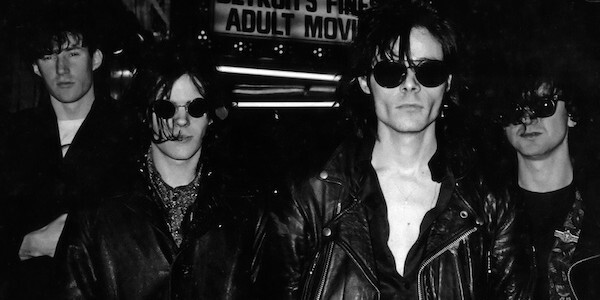 Seeing 80s gothic-rock (I mean, um….totally not goth…) legends the Sisters of Mercy live was something that I never thought I’d get to do in my lifetime. Yet, sauntering up to Leeds Becket student union amid crowds of fans both young and old, the dream was surely becoming smoke-enshroud, drum-machine-laden reality. The band, originating from Leeds itself in 1977, had their breakthrough in 1987 with hit-heavy album ‘Floodland’. While they haven’t produced new material for some time, they have toured and played one-off gigs sporadically, lastly in 2012 at the Amphi Festival in Cologne, Germany. 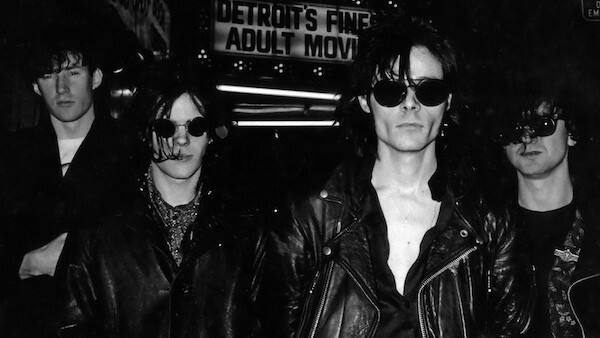 This year, frontman Andrew Eldritch is touring with Chris Catalyst of Eureka Machines and Ben Christo of Night by Night, with Ravey Davey operating Doktor Avalanche. When I arrived the venue was literally packed to the brim, with people standing halfway out of the main room where the Sisters were actually playing and peering over each others shoulders to catch glimpses of the action on stage. For those lucky enough to have shoved their way to the front, it was still difficult to see Eldritch and his crew for the perhaps slightly excessive use of dry ice. Don’t get me wrong, I’m not a killjoy and everyone knows that dry ice is essential to a Sisters gig…but there was so much of it that you really had to be at the front to see anything of note at all. Then again, the band themselves were not a very aesthetically pleasing sight to behold, Eldritch dressed in what appeared to be a tracksuit and the kind of thin, unflattering sunglasses that cyclists wear. Forgetting these slight, if not trivial grievances however, the crowd was fantastic and every song was met with rapturous applause, cheering, and dancing. There was even a fair amount of people standing on shoulders, especially during ‘Dominion/Mother Russia’ and ‘Vision Thing’. Admittedly, the stronger and more enjoyable moments were the hits, as well as an interesting cover of Larry Wallis’ ‘Police Car’. Eldritch even came up with a couple of really good one liners including, “Remember, the reason we are here is your fault.” Which is, admittedly, true. The ending was rather abrupt with no encore, but all the songs that I’d wanted to hear had been played, including ‘First and Last and Always’, ‘Temple of Love’, and ‘More’. Now, I don’t claim to have been around in the 80s when the Sisters were at their best, and perhaps I am comparing this performance to the one I have always imagined in my head, of a young and edgy band in their heyday dressed head-to-toe in leather and spewing our powerful, in-yer-face music. Ultimately, it wasn’t the most thrilling gig I have ever been to, but I am just happy to have had the chance to have seen Eldritch on-stage, maybe for the last time. Since graduating from The University of Leeds, Alex has had stints writing for Champion Up North, Time Out Leeds, and has contributed to the CTR Travel Writing Program. Now a freelance journalist, they enjoy blogging about all things arts + culture related.